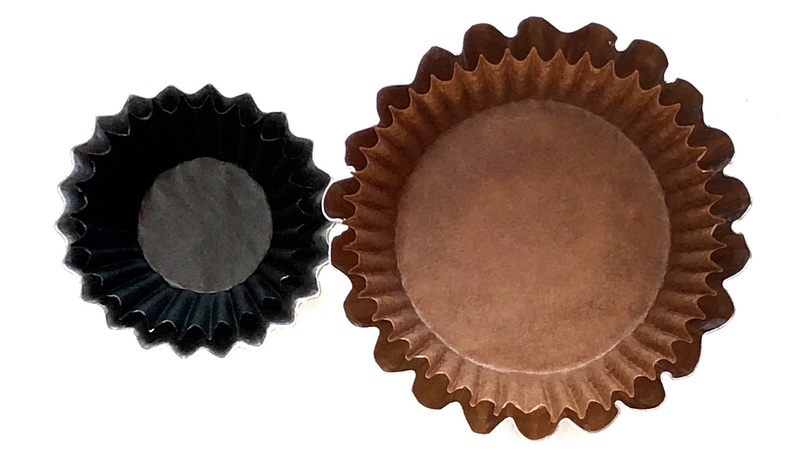 Are you a fan of Reese’s peanut butter cups? 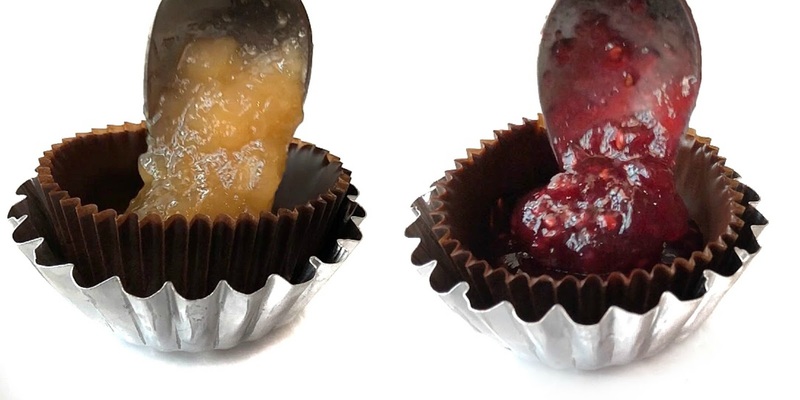 If you are then you’ll definitely love these homemade peanut butter cups or fruit cups. They are just so so yummy!! It takes just less than 30mins to make. You will be amazed at how fast and FUN to make them yourself or with your kids. Reese’s Peanut Butter cups can be a little tooo sweet for my liking because of the milk chocolate coating. 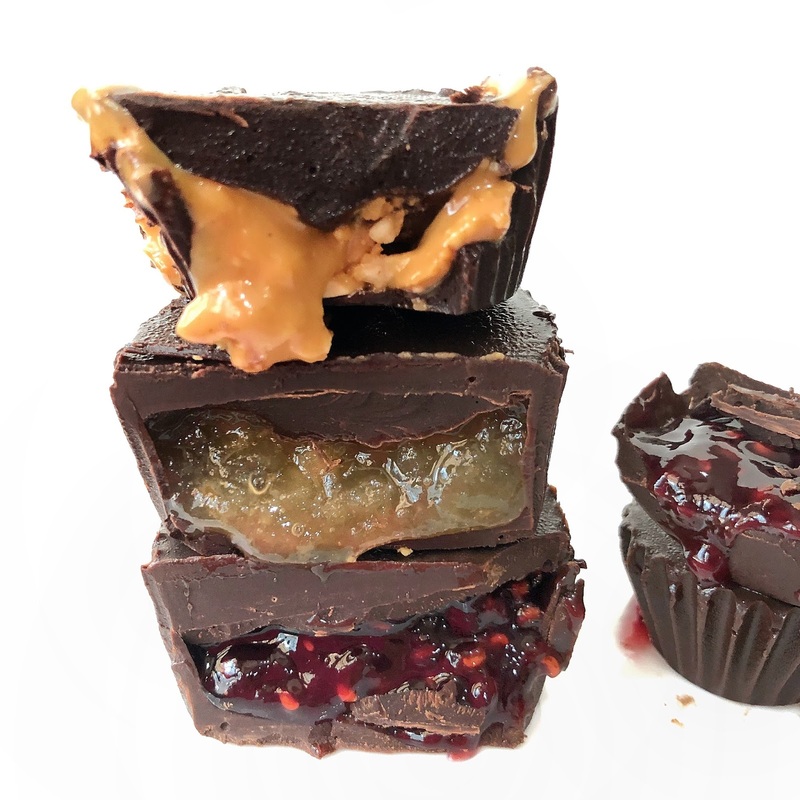 I decided to use 75% dark chocolate for the chocolate cups. You can use a higher cocoa content if you desire a less sweet treat. 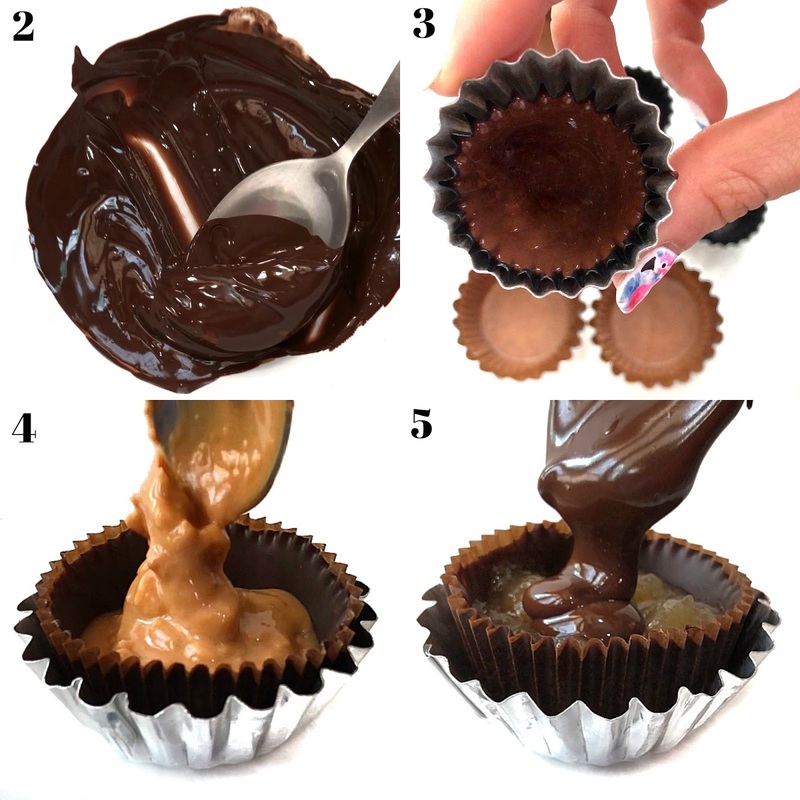 The best thing about making your own chocolate cups is that you can fill them up with whatever you have on hand or love. 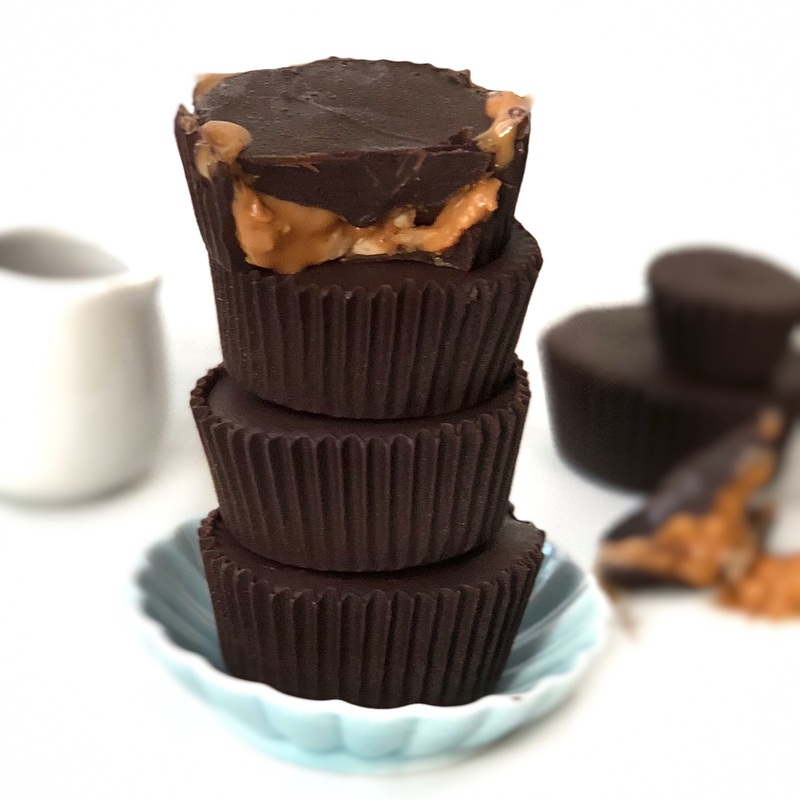 So here’s how easy it is to make your own Peanut Butter Chocolate Cups. You’ll need cupcake liners. I have 2 different sizes here. Mini and Medium. 3) Pour 1 tbsp (small liners) or 2 tbsps ( into medium liner) of melted chocolate into the liners and swirl to coat base and sides. I use the back of a spoon to help me. 5) Pour remaining melted chocolate on top of filling and smooth the top and re-set the cups in the fridge. 3) Set in fridge for chocolate to harden ( say around 15 mins). 4) Pour desired fruit filling or Nut butter spread into the liner until ¾ full. 5) Cover the filling with remaining chocolate and set in the fridge until chocolate has harden. 6) When chocolate has harden, peel the liner off the sides of the chocolate cups and enjoy!!! 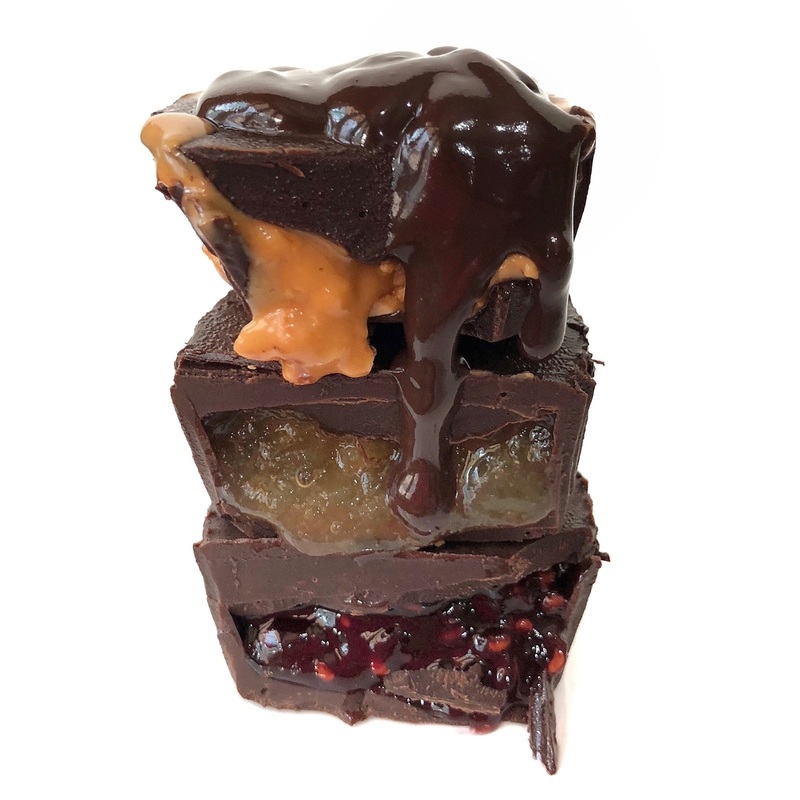 7) For a healthier option, you can always use darker chocolate or homemade fruit compotes. Yum! Looks delicious! I can't wait to try these! Thanks Abigail! They are indeed delicious. 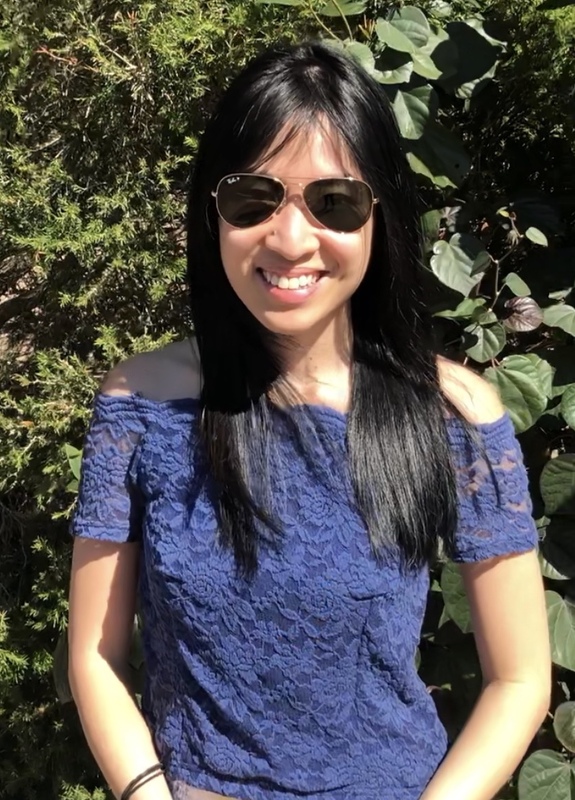 Hope you like them!